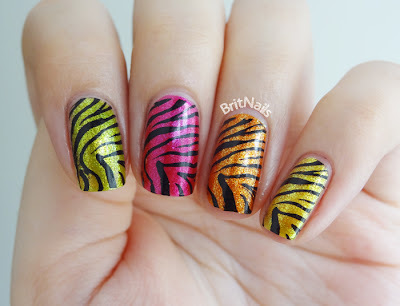 It's the return of the stupid mani names! Just what are you supposed to call these things? Personally I like giving them silly names, makes it more fun :P and so we have Disco Tiger! You may notice that the corner of my ring finger nail has snapped off. Oops! The perils of having square (squoval?) nails! I used colours from the Color Club Take Wing collection - top to bottom: Fly With me, Wing Fling, Sparkle and Soar, Daisy Does It. 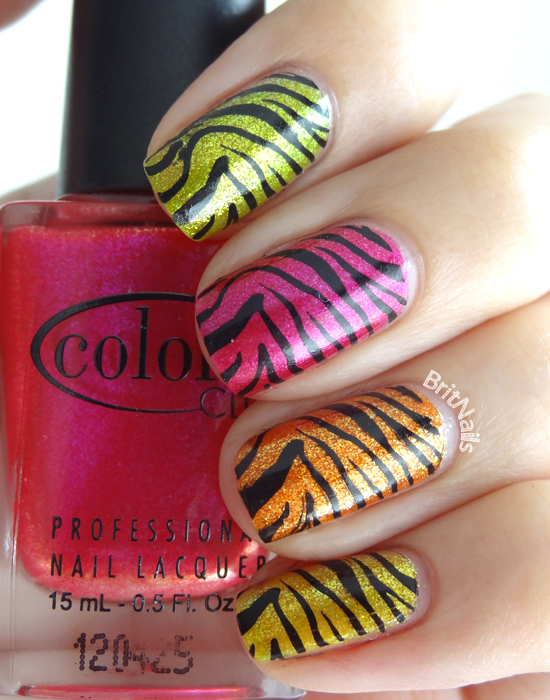 I then used Konad plate M57 to stamp the tiger print, using Konad special polish. I finished with a top coat of ORLY Sec 'n' Dry. I love this mani, I want to wear it forever! It may be a little too loud for the office though :P have a good weekend everyone! Nah, it'll liven up the office! It's so annoying when the corners break off your nails isn't it - it always happens to my thumbs, I think from hitting the space bar. Very nice mani anyway :) Loving the colours. 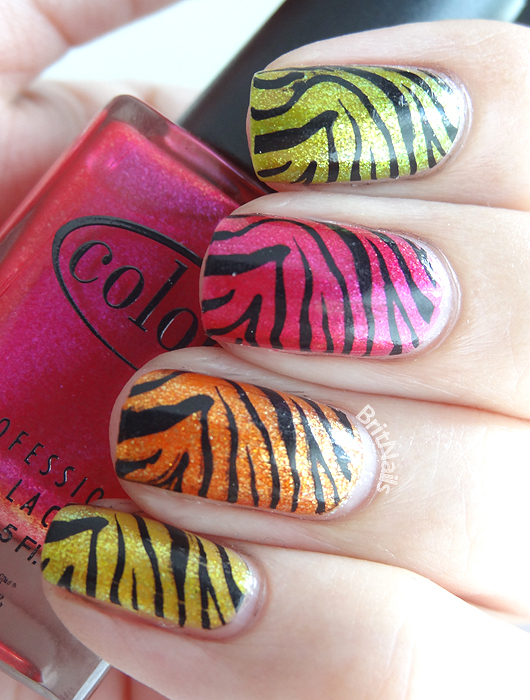 I love the colours you chose, it'a a very pretty mani! The corner of my nails always break, it is really frustrating when you're trying to grow out your nails square! i cant express how much i love this! Very impressive! I love these colours. 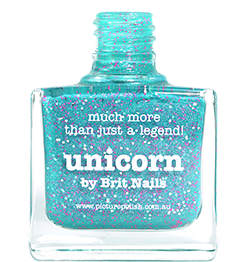 Stupid mani names rock! 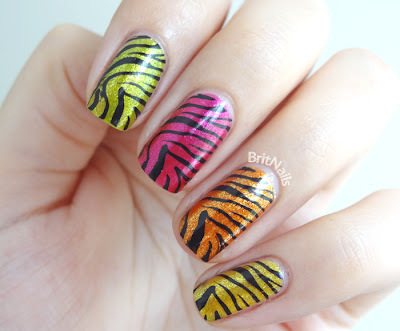 Especially when they go with such cool manis!